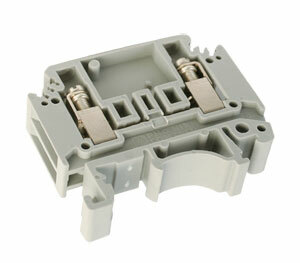 Thermocouple terminal blocks are offered in Type K, J, T, E and R/S. The terminal block contacts are made with thermocouple-grade calibration alloys. The terminal blocks come in a Gray color but white blank marker strips are available for identification.